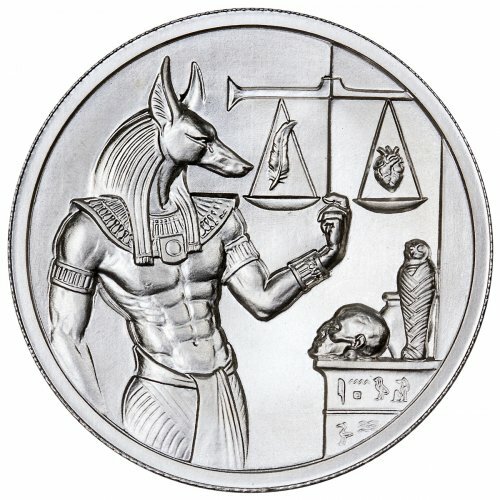 The Anubis round is the second release in the Egyptian Gods Series. Anubis follows the inaugural Cleopatra, and depicts the half man/half jackal Egyptian god that performs various roles in the afterlife. Anubis is tasked with protecting gravesites from wandering jackals and able to fight “like with like,” being part jackal, himself. Unlike a typical brown jackal, Anubis bears the head of a black jackal, symbolizing his association with the afterlife. 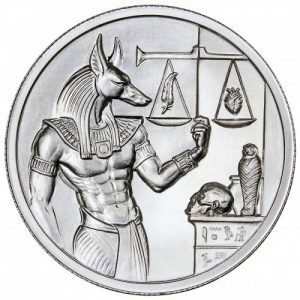 The obverse of the Anubis round, exclusively from Provident Metals, features Anubis alongside the “Scales of Justice.” The scales are used in the “weighing of the heart” ceremony where the heart of a newly deceased individual, the initiant, is weighed against a feather. Should the feather outweigh the heart, the deceased will move to the afterlife; however, if the heart outweighed the feather, the heart is devoured by a crocodile and the initiant is sent to the lake of fire. 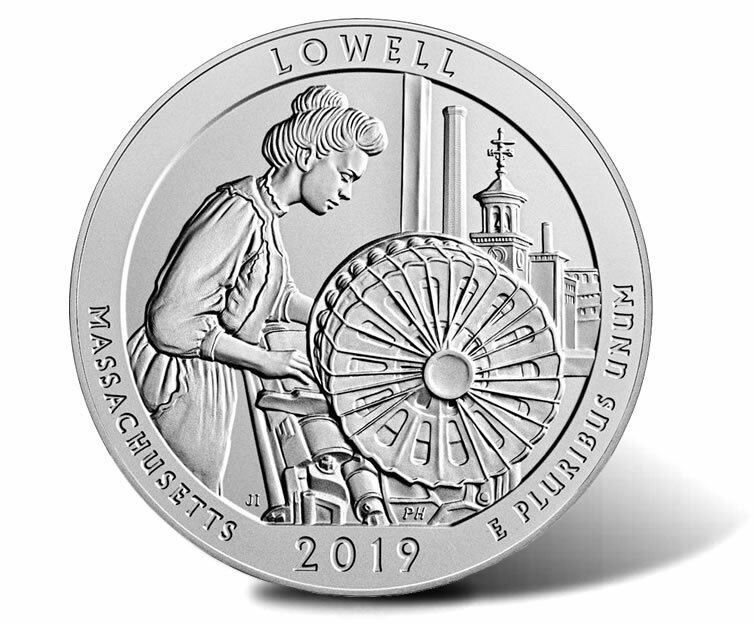 Also featured on the obverse is a mummified falcon, a jar of embalming fluid, and a skull, once again representing the connection between Anubis and the afterlife.